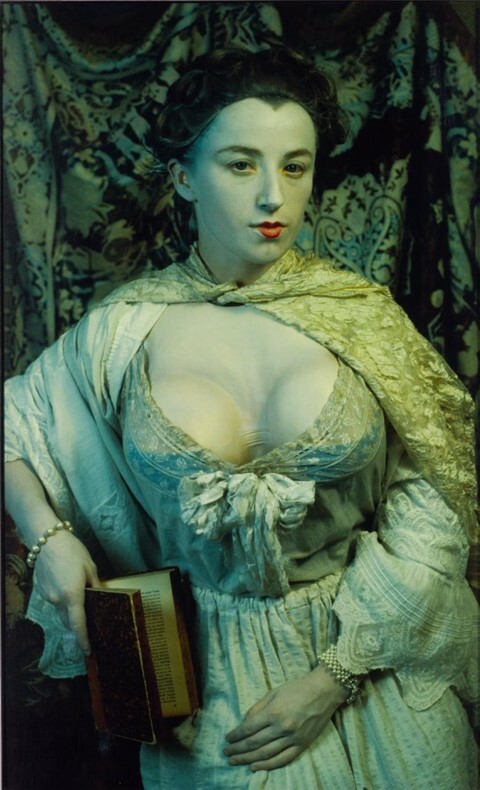 American photographer Cindy Sherman remains a bit of an enigma to even the most devout followers of her work. Some might say she prefers it that way; as she told The Guardian in 2011, “I’m not about revealing myself”. The surest way to get to know Sherman, it seems, is by following the steady trail of breadcrumbs she’s left behind over the decades she’s spent both behind and in front of the camera. In turning the lens on herself – or rather, on constructions of various selves – the social mores, adolescent fears, and mixed media messages that have shaped Sherman’s psyche reveal themselves in sometimes dazzling, sometimes disturbing fashion to the viewer. Perhaps Sherman’s greatest strength as a photographer lies in the way her images challenge people out of complacent viewership. From her first striking series of faux-film stills in the early 1980s, to her most recent anti-self-portrait series shown in New York’s Metro Pictures gallery in May 2016, centered on the aging starlets of cinema’s yesteryear, Sherman’s work has wrestled with and raised critical questions, including what it means to be female; how the media’s saturation of imagery deeply impacts the way women and girls see and present themselves to the world; and the effects of the double standards placed upon women who choose to explicitly insert themselves – or their gender – into their artistic practice. Today we examine the life of a woman whose power lies just as much in what she chooses to reveal as in what she keeps hidden from view. It’s no easy feat to pinpoint Sherman’s ‘defining features’ – her ever-changing appearance ties into her distinct talent for image-making. Using carefully chosen make-up, costumes, and prosthetics, Sherman has undergone countless transformations throughout her career to showcase and play with societal stereotypes of femininity. At any given time, she has appeared as a silverscreen bombshell, a platinum blonde in a dark noir, a fanciful figure from a 15th-century painting come to life, and a tragic victim of self-tanner. Sherman, who often works solo in her studio, acts as director, make-up artist, stylist, and model in equal parts. Through her imaginative and multi-faceted process, she depicts so many of the preconceived roles into which women have fit themselves for centuries. Yet by disappearing into her own pictures, and leaving in her absence easily recognisable female tropes, Sherman exposes their societally constructed nature. Despite Sherman’s deliberate provocation of the visuals featuring and marketed toward women that typically appear in high-end fashion magazines, the fashion world has sought out her eccentric brand of glamour and intellect on numerous occasions. In 1984, French fashion house Dorothée Bis collaborated with Sherman on a series of photographs published by Vogue Paris. Said Sherman of the series, “I’ve really got to do something to rip open the French fashion world. So I wanted to make really ugly pictures. The first couple of pictures I shot and sent to Dorothée Bis they didn't like at all... That inspired even more depressing, bloody, ugly characters.” She’s also partnered with the likes of Rei Kawakubo at Comme des Garçons, Issey Miyake and Jean-Paul Gaultier. In 2006, American designer Marc Jacobs called on Sherman to develop a series of irreverent advertisements for his line, photographed by Juergen Teller, which found the photographer donning wigs and clownish make-up. Far from striking an aspirational chord, these images toed the line between commerce and art — an in-between space that Sherman’s aesthetic has long inhabited. Born in 1954 in Glen Ridge, New Jersey, Sherman came of age as a photographer during the early 1980s, after pursuing an art degree at Buffalo State College in the early 1970s. While she began her artistic journey with paintbrush in hand, she soon found that world to be overtly male-dominated and decided to carve out her own niche. Sherman realised that photography spoke with greater urgency and directness to her lingering questions about life as a woman in America in the wake of feminism’s first wave. Once she had turned the camera on herself to produce her first series, there was no turning back. Upon moving to New York in 1977, Sherman began to take her longtime love of dress-up more seriously as a potential part of her practice. She first caught the attention of the New York art world with her pioneering series of 69 monochrome photographs known as the Untitled Film Stills, in which she morphed into various female characters from imaginary, yet oddly familiar, 50s and 60s films. Yet rather than base these characters on identifiable actresses, she sought to capture more amorphous personality types that tapped into a viewer’s unconscious consumption of pop culture. Whether channeling a forlorn young woman stranded at the roadside, as in Untitled Film Still 48 (1979), or an obedient yet sexually available stay-at-home wife to an unseen husband, each image conjures strong associations to historical depictions of objectified women on screen. In 1995, the Museum of Modern Art (MoMA) purchased a set of the stills for a reported $1 million – a particularly hefty price tag at the time. The museum became one of her staunchest supporters: the stills went on display in 1997 in a show sponsored by none other than Madonna and, in 2012, the museum organized a comprehensive retrospective of Sherman’s work. Sherman’s subsequent series have left fans of her work constantly wondering into what territory she’ll next venture. Shortly after her success with the stills, she expanded on her interest in female representation, transformation, and voyeurism in her series of 35 photographs known as her History Portraits. Created between 1989 and 1990 while living abroad in Rome, many of the images corresponded directly to well-known images produced in the age of classical European painting, and were eventually hung in fittingly grand gold frames upon their arrival at New York’s Metro Pictures Gallery. She’s even managed to turn the public’s strange fascination with (and fear of) clowns into a highly memorable series of grotesque portraits created in the early 00s. 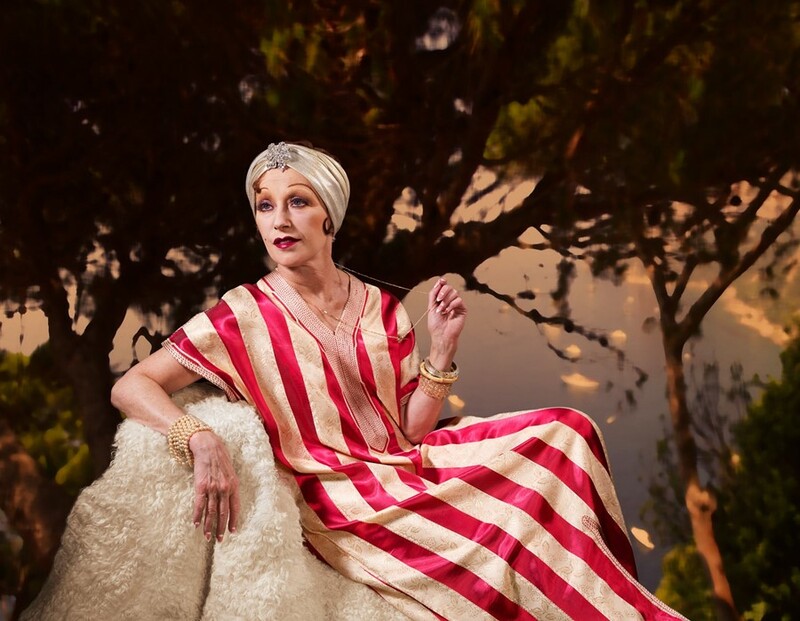 Now, at 62 years old, Sherman’s practice has taken a more personal turn: she has turned her keen gaze on the prospect of ageing as a woman. Her latest series of cinematic images featuring former starlets in their prime proves that her thoughtful approach to art has only deepened and evolved as she’s worked with eyes and mind wide open. Sherman’s unwillingness to be pigeonholed as an artist has made her one of the most dynamic to follow. Since her very first series, her work has fearlessly explored the fluidity of identity and gender representation – long before designers were embracing such fluidity on the runway or in magazine editorials. Captured in her images are the wide range of emotions one experiences – not to mention roles one is expected to embody – as a female-identifying person: anger, melancholy, desperation, lust, and joy are all accounted for. Sherman occupies a trailblazing spot in the history of American art and photography, and has never compromised her vision to secure it. For this reason, and countless more, Sherman is an AnOther woman to be reckoned with.